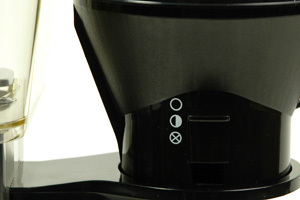 When counter height is an issue, the Technivorm Moccamaster KBTS-741 Clubline brewer is the best solution. 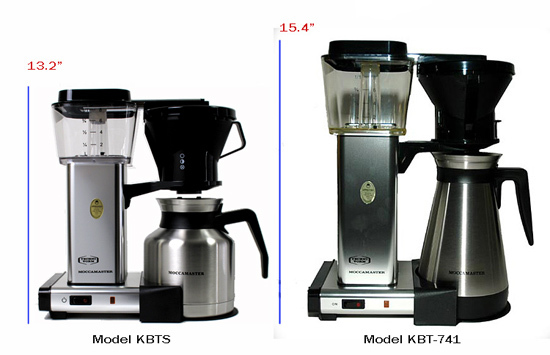 Please note that this is NOT the KBT-741 brewer but rather a reduced height version with somewhat less capacity. This brewer combines all the great traits of Technivorm brewers into a smaller, shorter package. Brewing capacity is 1 liter (34 ounces) and is equivalent to 8 cups in european measure. Height is only 13.2 inches. 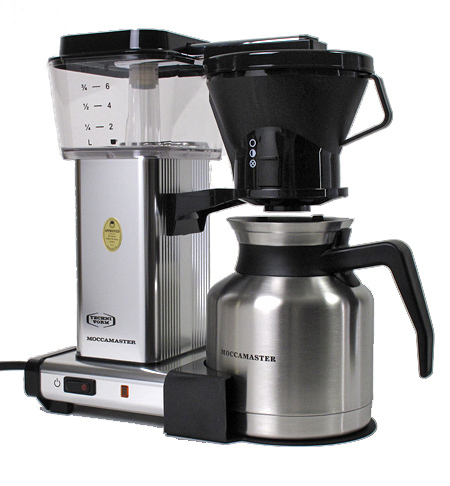 As with other Technivorm brewers, this is a simple, precise and elegant electric drip coffeemaker. No gadgets here. No clock, no grinder, just consistently excellent brewing. 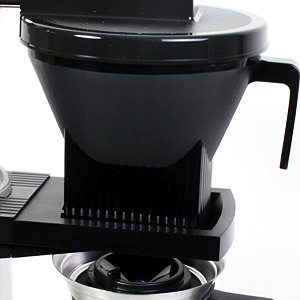 This is a handmade coffeemaker built in Holland. 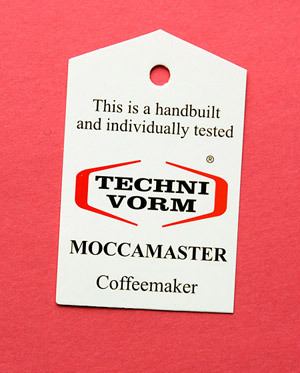 The main asset of the Moccamaster line is its ability to maintain perfect brewing temperature throughout the entire brewing cycle, an attribute that has earned it certification from at least two coffee trade associations. This is a quality product, done simply. Technivorm brewers have been recommended in articles that appeared in Cook's Illustrated, Wine Spectator, Barron's, NY Times, et al. 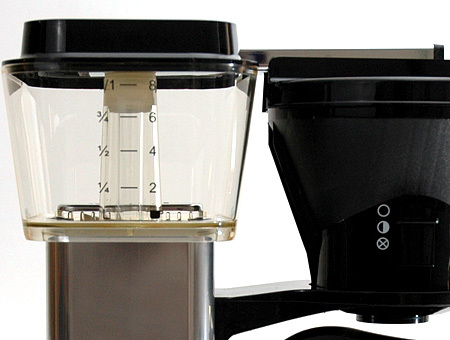 All of the models we offer have stainless thermal carafes and do not utilize warming plates which damage coffee. We also offer the very popular Moccamaster KBT-741 and Moccamaster CDGT Thermo models, each 1.25 liters and taller than this KBTS. Brews up to 8 cups. Capacity is 1 liter (about 34 ounces). Brew time for a full pot is about 5 to 6 minutes at drip grind. 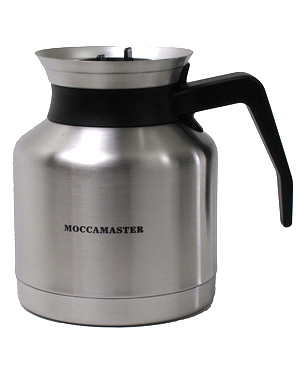 Includes all stainless thermal carafe. New design as of May 2012. There is no heating element in brewer. Includes Brew Thru Lid for the carafe. Uses paper cone filters (included with our offer) or goldfilter. Polished silver aluminum housing with scratch resistant finish. Original "Smitdesign" hand-built by Technivorm of Amerongen, the Netherlands. Certified by the Specialty Coffee Association of America and approved by the European Coffee Brewing Centre (Oslo). 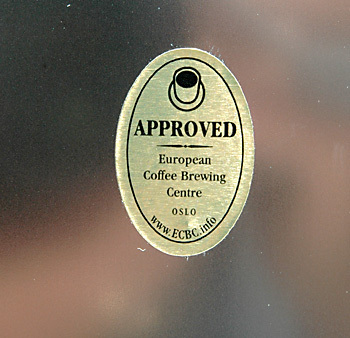 Only a handful of brewers earn this approval which "ensures that the water extracts the coffee optimally". Same great brewer as the KBGT models but in a cylindrical, Gerard Clement-Smit design. It's about a half inch taller but the brewing specs are the same.